Breast cancer awareness is sweeping the nation this October! In honor of the many inspirational survivors who have undergone mastectomies, I have decided to blog about rehabilitation post mastectomy. 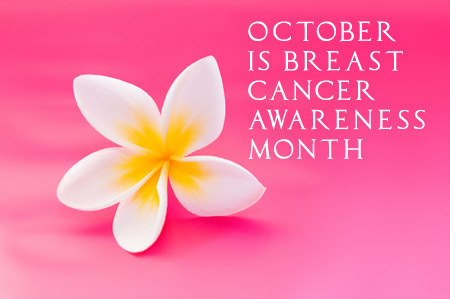 In western societies, breast cancer is the most commonly diagnosed tumor amongst women. In fact, 27% of tumors diagnosed amongst females are breast tumors. Fortunately, recent research has helped develop minimally invasive surgeries (including sentinel or axillary lymph node dissection) that allow for faster healing. However, as with any surgical procedure, internal scarring may occur after the surgery which may affect upper extremity joint and muscle function. Furthermore, removal of lymph nodes may result in dysfunctional drainage of the lymphatic system into the venous system, a condition called upper extremity lymphedema (associated with swelling and heaviness in the affected limb). This may lead to impairments in functional abilities, including carrying heavy objects and overhead reaching. A recent study in “European Journal of Physical and Rehabilitation Medicine” (2012, vol 8, No. 4) explored the benefits of early rehabilitation following surgery. Of the 83 participants in the study, 25 were in the control group (no physical therapy until after discharge from the hospital) and 58 were in the experimental group (physical therapy beginning the day after surgery until discharge from the hospital). The physical therapy interventions including exercises to maintain shoulder muscle flexibility, decrease pain, improve lymphatic circulation through the affected upper extremity, and breathing exercises to maintain proper pulmonary function. Each P.T. session was 30-40 minutes during hospitalization, and they were educated on appropriate home exercises for post discharge. Follow up was performed with both groups 6 months after surgery. There was a statistically significant difference between the groups regarding the presence of lymphedema- those who had participated in early post-op intervention were less affected than those who had not. Furthermore, those who had participated in physical therapy earlier on were more flexible and capable of greater function. Once again, research has proven that physical therapy, including lymphedema treatment, is very beneficial post-surgery, and women are encouraged to use their arms freely post-surgery rather than “taking it easy” in attempt to heal. Fortunately, we here at Beyond Basics Physical Therapy offer lymphedema treatment! Our skilled physical therapist, Roseanne Cruz Schoen, is a Certified Lymphedema Therapist. If you or someone you know may benefit from lymphedema treatment, please contact us- we would love to help!